The appointment of a new Advisory Council also forms part of the upcoming changes to THP. In terms of changes to our areas of activity, we have streamlined our focus on three main pillars: first, shaping policies on migration at the local, national, regional and international levels; second, creating formal Business-City Partnerships to address migration related challenges; and third, conducting and coordinating research to fill knowledge gaps in the migration field. On 12 May 2016, Luxembourg will celebrate its second national Diversity Day. 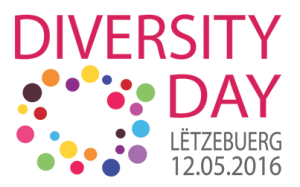 On this day the Committee for the Diversity Charter Lëtzebuerg will also celebrate the 6th signing session of the Charter. The 157 signatories of the Charter will be joined by several new signatories that wish to commit officially to the promotion and management of diversity in the workplace. The official signing session will be followed by a keynote speech by Nava Hinrichs, Managing Director of THP, on the Business Case on Migration: What is in there for businesses to integrate migrants and refugees in particular into the labour market? What role can a company play in the current context? Nava Hinrichs, Managing Director of THP, will speak at the upcoming Forum on Corporate Volunteering, organised by the International Association for Volunteer Effort, on 19 May in Berlin. 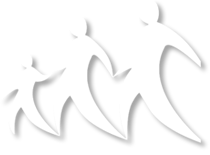 The theme of the Forum will be the Response to the Refugee Challenge. The purpose of the Forum is to understand the refugee crisis in Europe, learn how the private sector is currently responding through their employee volunteer programmes, and discuss what companies could do individually or collaboratively to respond to the situation. The goal is to inspire new approaches, initiatives, partnerships and action on the refugee crisis. THP recently took part in The European Migration Forum which met for the second time on 6 and 7 April 2016 at the EESC’s headquarters. The Forum, organised by the European Commission and the European Economic and Social Committee is a platform for dialogue between civil society and the European institutions on issues relating to migration, asylum and the integration of third-country nationals. Following on from the subject discussed at the first meeting (the management of mixed flows of migrants across the Mediterranean), the Forum now focused on a long term approach to sustainable labour migration and successful integration. On the second day of the event Kim Atkinson, Communications Officer at THP, hosted a workshop on the role of the private sector in migration and integration. The defining sentiment from the workshop was that involving and engaging the private sector is essential to create a win-win situation in migration and integration. More information from the European Migration Forum, including the event agenda, background paper and list of participants is available on the EESC website. Also available online are the opening speech by Dimitris Avramopoulos, Member of the European Commission in charge of Migration, Home Affairs and Citizenship and the speech by the EESC president, Georges Dassis.